Kevin and Margaret Croker with Archbishop Christopher Prowse on the occasion of Kevin notching up 25 years with the Archdiocese. His cheerful and friendly nature is well known across the Archdiocese. An old school gentleman, he is probably known for his big smile (which is almost constantly visible) as much as for his big heart which, while not visible, is evident in his actions and deeds. But the time comes when all of us punch our work clock for the final time, and that time is rapidly approaching for Kevin Croker, OAM. Kevin’s last day of work is December 31 and the prospect of retirement is now becoming very real. “I’m looking forward to it,” Kevin said. “Actually I’ve been getting used to the idea for a while. About two years ago I approached Helen Delahunty (Financial Manager) and the Board and said I’d like to cut back to three days a week as a semi-retirement phase. “They were very happy to support that but it’s become a bit of a standing joke that it didn’t really work out that way because the job is clearly a full time one. Kevin’s job has evolved over his 27 years in it. Originally referred to almost interchangeably as the secretary or treasurer of the Clergy Retirement Foundation, a part-time role, it solidified into the Secretary position he now holds and upon his departure the position will be rejigged into Manager. But for all of that time it has meant a job of caring for those who have cared for us. The Clergy Retirement Foundation assists clergy with their transition into retirement. 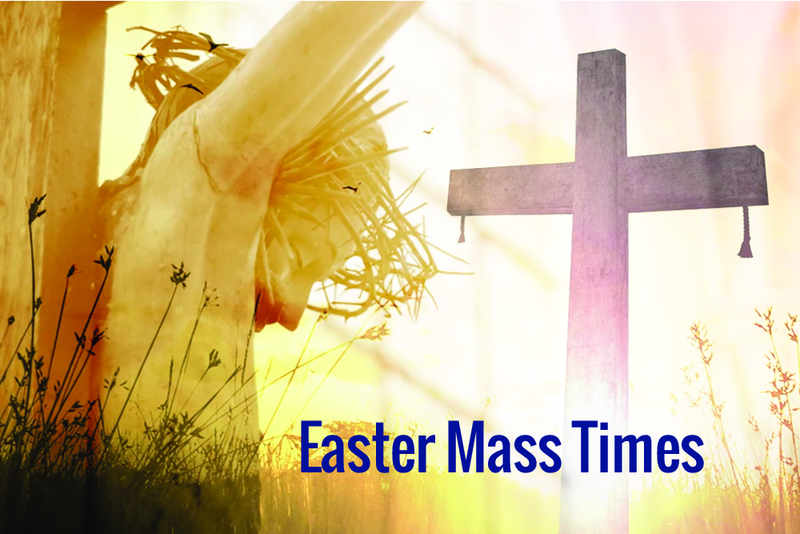 Without some of the familial support systems, social membership and possessions of those outside of the priesthood, it can be a confronting and challenging process to adjust to and Kevin and his team are tasked with easing the process and treating the priests with compassion and kindness. “It can be a time of vulnerability and upheaval,” Kevin said. “Generally speaking, the priests don’t have a house of their own after spending many, many years in ministry. After moving from parish to parish, and presbytery to presbytery over the years, they suddenly find themselves more independent. “There is a significant adjustment and the things in retirement that lay people experience, they experience the same things as well. Kevin highlights accommodation as a key focus of his work. Depending on the age and health of a priest when he retires … on whether he can live independently, or should live in community or whether in fact he might consider going into a caring facility. “It’s an area that can cause some strain and anxiety,” Kevin notes. “The question is can they live securely and comfortably by living alone. Kevin’s path to this job led him through a number of other towns and other jobs along the way. Born and bred in Wagga Wagga to farming parents, he attended primary school at Wagga Wagga before attending boarding school at St Ignatius, Riverview. 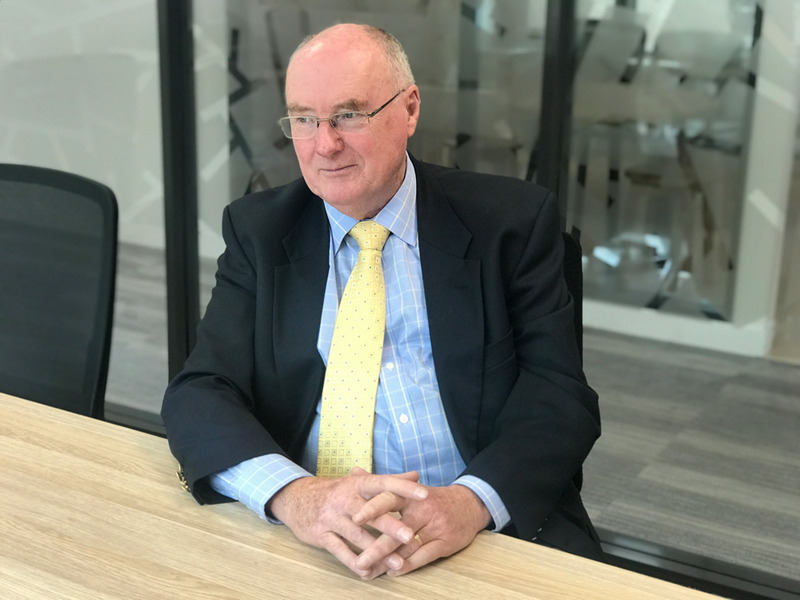 Returning to Wagga Wagga, he began work with the Commonwealth Bank where he worked for 20 years – initially in his home town, then, then Parkes (where he met his wife, Margaret) and then to the ACT. In 1989 he joined a finance company for 2 years and then in 1991 took on the job of Chief Clerk for the Chancery office, located at Archbishop’s House. His job involved looking after the day to day administration of the Archdiocese’s finances. During that time Kevin played a prominent role in the building of Favier House, which opened in 1993 and which he managed. In 1997, a long-serving secretary of what was then known as the Sick and Retired Priests’ Fund became unwell and Kevin was asked if he could provide some secretarial support alongside his existing duties… and the job grew from there. Kevin has formed close bonds with all of the retired priests he has worked with, and particularly with the Irish priests of the Archdiocese. “When I came into the job in the late 90s, there was still a large contingent of Irish priests in full time ministry but they were starting to retire,” Kevin explained. “They were men well into their 70s and early 80s and so there was an influx of retirements at that time and I really enjoyed building up a close affiliation with them. “And that affiliation extended to their families. I understood that these men came over at a very early age, they would not have returned home for anything up to 10 years and so they pined for their native land and their families. As the role of priests has changed, the focus on their well-being has become crucial. Added responsibilities and the reduced number of priests have added to their workload and Kevin believes it’s important to monitor the health and well-being of priests more closely then ever. “The role of priests in today’s church has changed dramatically,” Kevin said. “There’s a lot more involved and we find the pressures on priests are multiplying compared to years ago. As carers, not only for retired priests but for all priests, I think we have to be careful to monitor this and be aware of it and to act on it. Kevin said he has been blessed with an exceptional team, including the many wonderful housekeepers, secretarial support from Jen Rebbeck, Martin Gibson and Sue Orchison, and registered nurse Carmel Gibbons. “Carmel really hones in on priests holistically, before and after they retire,” he said. “So her involvement has been integral. “To be honest, in any caring environment out there in the field there is a myriad of people who we deal with on a daily basis and without them we’d really have our work cut out for us. But Kevin reserves special praise for the unofficial member of his team, his wife Margaret. “She’s like a silent partner,” he said. 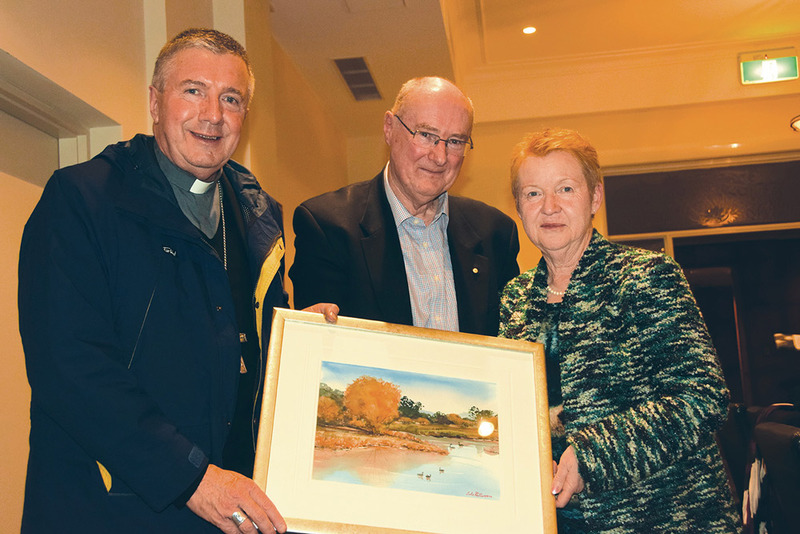 “Without her support and the family… if I’ve need our son’s hands and a ute to move something he’s responded… but Margaret has travelled extensively with me throughout the Archdiocese. 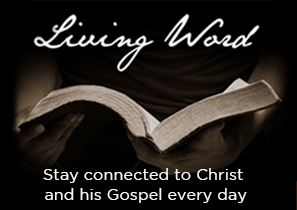 Family is a key theme that emerges in speaking with Kevin. The families of priests, the involvement of his own family… in fact his job, and his life, have criss-crossed and overlapped for years. As a child, Archbishop Francis Carroll (then a priest) used to visit his father’s home with some other priests where they played 500 with his family. In 1991, when he joined the Chancery, he was able to work closely with the Archbishop and now he is assisting him in retirement. Another involvement that has become inter-twined with his life is his involvement with the Carmelite nuns. “My involvement with them dates back to their foundation here in Canberra in 1974,” Kevin explained. “So, like a good son, I did what my father said… and as a 24 year old I met with a small group of men at what’s now the Monastery at Mugga Way, and it’s developed into a long and happy involvement with them ever since. In fact Kevin attributes the role played by the Carmelite nuns in the Archdiocese to being every bit as important as his team’s work in helping retired priests. 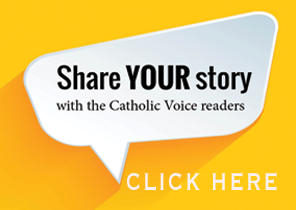 “They are a contemplative Order and Archbishop Cahill brought them here in 1974 with the purpose to pray for the priests and the catholic community of the archdioceses,” he said. “They are what we call a house of prayer. So there’s a link between the practical work done by the Clergy Retirement Fund, and the spiritual support offered by the Carmelites. “I can honestly say I’ve relied on their prayerful support in everything that I’ve done and that God has held my hand every step of the way. I’ve come away from situations after discussions with priests about their future care and I’ve come away thinking `now how am I going to handle this… what’s going to happen, what can we do’ and usually by the time I’ve got to the car, or spoken to Carmel or Margaret, I’ve got an approach… and that normally doesn’t happen. The respect between Kevin and the Carmelites is mutual, and it was they who nominated him for the OAM he was presented with in 2014. Kevin getting ready to put his feet up. Literally. Having assisted so many with their retirement, now it’s Kevin’s turn to prepare for his own. 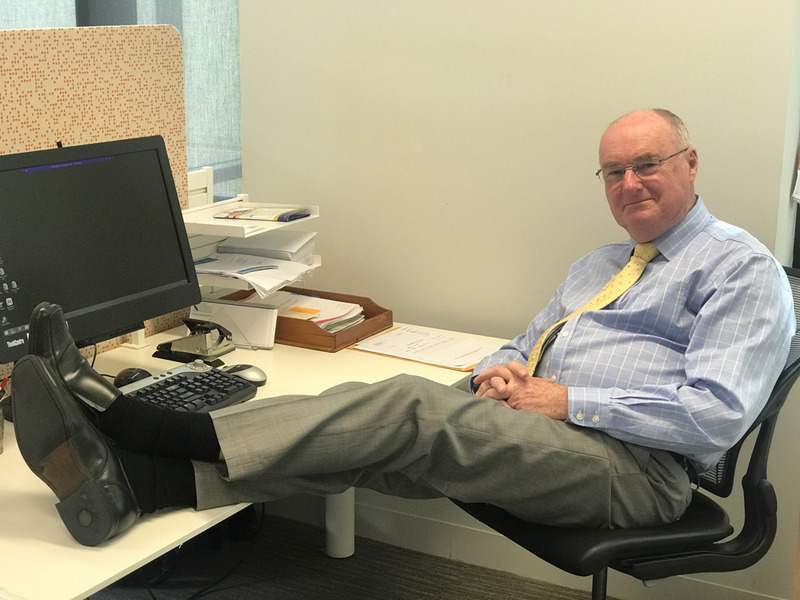 Not one to sing his own praises, he feels he is leaving the Clergy Retirement Foundation in good shape and he is ready to let go, but the appeal of retirement isn’t without mixed emotions for a job Kevin has given 27 years of his life towards. “I’ll miss it greatly,” he said. “You can’t say that you’ve enjoyed every moment of it because like any job it has its ups and downs but there have certainly been far more ups. It’s been a wonderful time for me. “There might be some who say you’ve looked after these fellows too well, you’ve spoiled them. And if I’m criticised for that, well so be it. And you can’t ask for much better than that. Most of the Clergy would have their own Kevin Croker, or Kevin and Margaret Croker, stories. Even as a seminarian I can recall Kevin assisting us with various administrative things. As some would know, moving back to the Archdiocese from the seminary is quite an adjustment. When I did that it was Kevin who helped in so many ways with forms and documents and so on. When some of us became PPs or administrators of parishes for the first time Kevin could be seen in those old country presbyteries helping us work out pastoral revenue forms and returns and the like. For years Kevin, with Meg Lillicrap and Jen Rebbeck, helped with so much of the organisation of the Clergy Assemblies and Retreats. We even had grog available there because Kevin had delivered it to Galong on his way to visit country-based priests out West. So, when we next raise a toast, it should be (in Black Beer) for Kevin and Margaret Croker. Kevin, may your retirement with Margaret, be richly blest. Wonderful acclamation for a really caring, compassionate and hope-full gentleman. May you and Margaret enjoy a very blessed and happy retirement together. God bless you for your years of selfless ministry. There is only one Kevin Croker. His empathy, his love and gentle relationship that he had with the priests is unique . In my years of experience I have never met anyone whose genuine love for the clergy has been so evident. They say no one is indispensable………..well as far as the retired or elderly clergy we have within our Archdiocese….Kevin no one can take your place. You have been and continue to be a gift of God to our clergy and especially to those who have journeyed with you over all your years. You have demonstrated to us the unconditional love that God has for each one entrusted to your care. Enjoy your retirement and thank you.